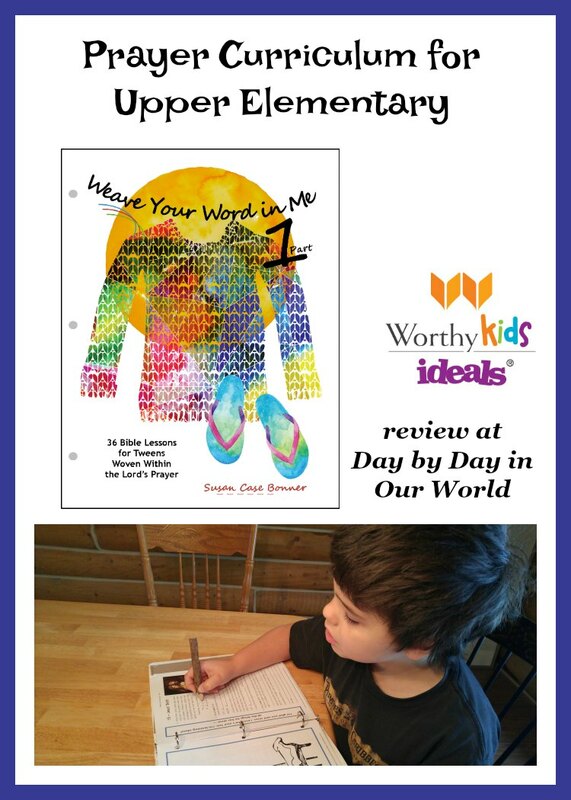 Grow in Faith with a Prayer Curriculum for Upper Elementary was made a copy of Weave Your Word in Me — Part 1 from Kid Niche Christian Books as part of the Homeschool Review Crew. One of my primary tasks as a Christian parent is to teach my children about God, His love for us, and how to live as a Christian. Along the way, I pray that they will develop a personal relationship with Him. All of this is with the goal of helping lead my family members to heaven. 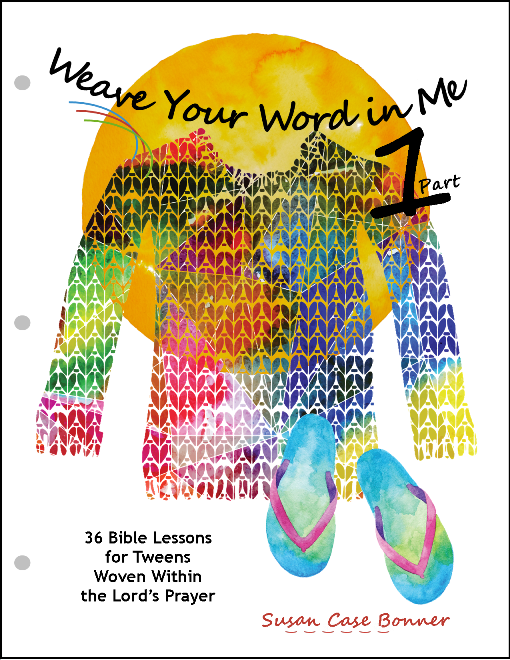 Weave Your Word in Me — Part 1 marks the start of a new Bible study for upper elementary children (grades 4 – 6.) This program contains 2 Units on God the Father and God the Son. Part 2 will cover What God Wants and God the Holy Spirit. At the start of the material, you are introduced to My Whole Self Before You which is a rhythmical prayer modeled after the Our Father. These 9 verses are what comprises the 2 part Bible study. The material purchases is a 3-hole punched, 72-page book ready for your own binder. The pages are printed in color on 70# paper, making them durable and of high interest for this age range. A total of 36 lessons are presented in the book. Each verse from My Whole Self Before You is covered by multiple lessons. For a homeschool family, this could be one lesson per week to cover the school year. God is our heavenly Father. He likes us to talk to him. Talking to God is called prayer. God is pleased and honored when we treat him with respect and come to him humbly. God Loves and cares for all people. Each lesson contains a fill in the blank prayer component. 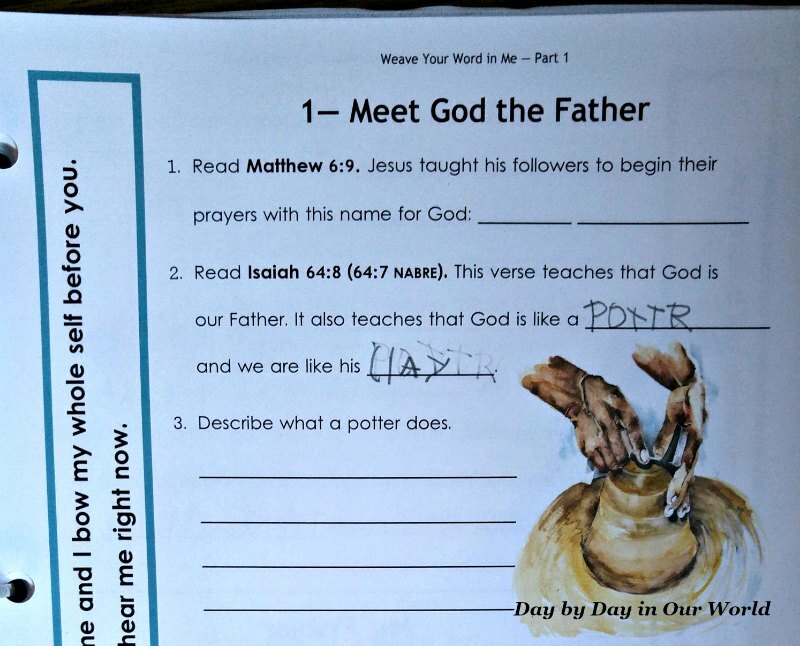 This can help your child learn how to formulate their own prayers to God. The pages are formatted to contain colorful images that support the material covered. Finally, parents can expand their child’s learning using life-centered teacher enrichment activities found on the Kid Niche Christian Books website. Each lesson has 3 different enrichment activities which include things such as watching a video, projects, or art. My youngest son loves to dig into the Bible and learn more about God. Technically, he is a little younger than the target audience for this product. However, his love of God and learning more about the Christian faith bridges that gap. My biggest challenge for this review was having him include me in the process. Most of the time, he is sequestering himself with the binder holding the curriculum as well as my Kindle Fire with a Bible app to find the particular Scriptures to read. While I strongly advocate for learning how to find Scripture in a print Bible, this has been easier for him right now. As he still struggles a bit with handwriting and spelling, some of the responses are done orally with me. In the 1st lesson partially shown below, he filled in what he considered easy to write and skipped the long response. If he was in 5th or 6th grade, I would require him to write all responses. But, for now, I am more focused on his growing in faith and relationship. He is more than happy to talk about what he is reading and enjoys doing some of the enrichment activities. I like the inclusion of the My Prayer boxes for each lesson. As an adult, it can be easy to forget that children need to learn how to approach God in prayer beyond a list of their wants. The format used in this curriculum always includes things to thank God for while asking for his help to grow in faith and understanding. Overall, this is a well laid out prayer curriculum for upper elementary students. They learn more about God as well as work on developing that personal relationship through the prayer component. Do you have a child who would benefit from this program? What are some ways you help encourage a child to have a personal relationship with God? 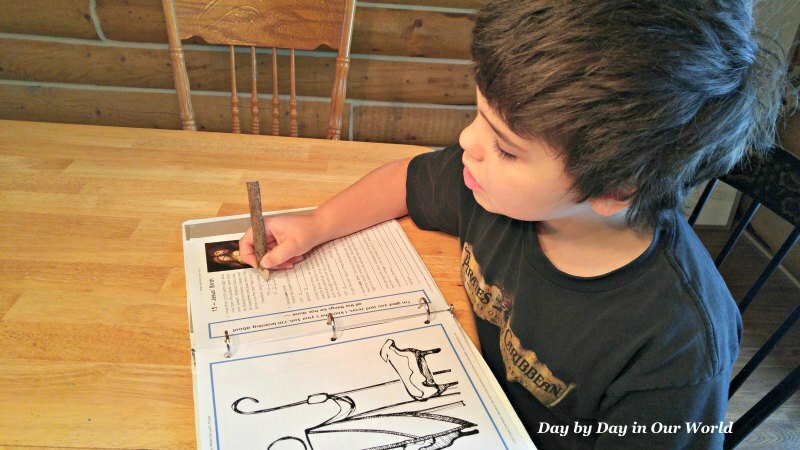 Visit the Kid Niche Christian Books review post on the Homeschool Review Crew website to see what other homeschooling parents thought about this resource.